While married couples commonly apply for a joint mortgage, your husband can get mortgage financing on his own, as long as he qualifies. Normally, a couple’s combined incomes and healthy credit histories increase the chances of qualifying for a loan, but if one of you has bad credit, a lender could deny your loan application or charge you a higher interest rate on a loan. Adding two incomes on a loan application usually improves the debt-to-income ratio, but your husband may qualify for a home mortgage based on his income alone. A lender will consider debt ratios when deciding how much money to lend him. First, the lender will determine how much of your spouse’s gross monthly income he can afford to spend on a mortgage payment that includes loan principal and interest, real estate taxes, mortgage insurance, and homeowner and special hazard insurance. The lender will then calculate the portion of your husband’s income that he needs to pay all his debts, including a mortgage payment, an auto loan, student loans, credit card bills, and household expenses. Your husband must meet the lender’s maximum income-to-debt ratios to qualify. When married couples apply for a mortgage loan together, most lenders automatically base the interest rate on the lower score. If your credit score is lower than your husband’s and you submit a joint loan application, your score will increase the interest rate. If your husband has the higher credit score and adequate income to qualify him for a loan, having him apply alone can mean paying a lower rate. 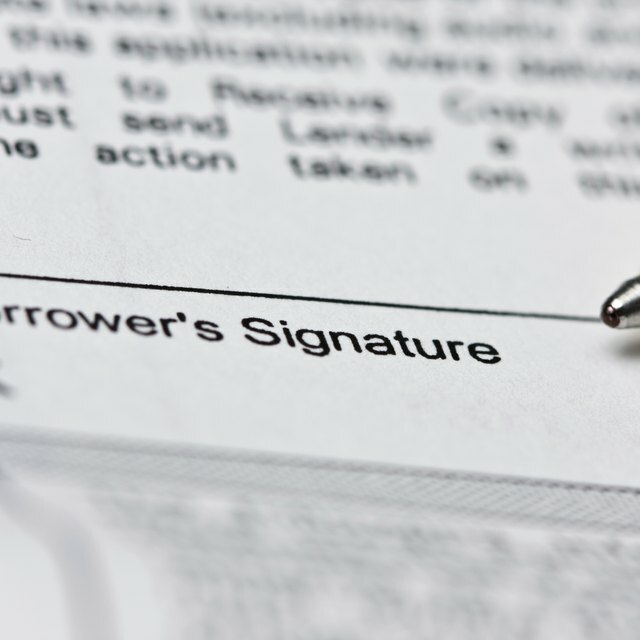 Even if your husband’s is the only name on the loan documents, both of you can sign the title. The lender will order an appraisal to determine if the property your husband wants to buy is worth the amount of the mortgage loan he wants to take out. Lenders approve loans based on a property’s appraised value. Since the home serves as collateral to secure the loan, the lender won’t want to lend more money than it can recover if your husband defaults on the loan and the property goes into foreclosure. If the home appraises for less than what your spouse offered the sellers, and he doesn't have enough cash to pay the difference, he would have to make a larger down payment or negotiate with the sellers to come down on the purchase price. If your husband can make a 20-percent down payment when he buys the home, the monthly mortgage payment will be less because he won’t have to buy private mortgage insurance. A lender will require that he purchase PMI if he puts less than 20 percent down. The monthly amount your husband will pay for the insurance will vary depending on his credit score, the amount he borrows, and his loan-to-value ratio, or amount of equity in the home. When calculating loan-to-value, a lender divides the amount of mortgage loan by the lesser of the property’s appraised value or purchase price. Zillow: Loan to Value Ratio Explained -- Why Does It Matter?